Dr. Bin Yu is a Chancellor's Professor in the Departments of Statistics and Electrical Engineering & Computer Science at UC Berkeley. She chaired the Statistics Department at Berkeley from 2009 to 2012. 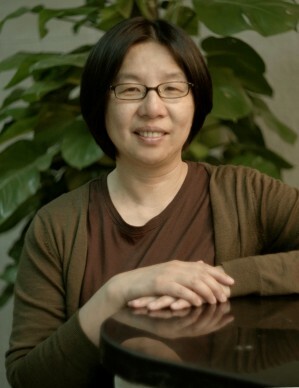 She is a founding co-director of the Microsoft Lab on Information Technology and Statistics at Peking University. She received her B.S. in mathematics from Peking University in 1984, was in the S.S. Chern exchange program in math to the US in 1984, and received her M.A. and Ph.D. in Statistics from UC Berkeley in 1987 and 1990, respectively. Before coming back to Berkeley as an Assistant Professor in 1993, she held faculty positions at Univ of Wisconsin-Madison and Yale University. She was on leave from Berkeley at Bell Labs from 1998 to 2000. She has published more than 100 scientific papers in leading journals and conference proceedings on statistics, EECS, remote sensing and neuroscience. Her publications cover a wide range of research on empirical process theory, information theory (MDL), MCMC methods, signal processing, machine learning, high dimensional data inference (boosting and Lasso and sparse modeling in general and spectral clustering), and interdisciplinary data problems from neuroscience, remote sensing, text summarization and bioinformatics. She has served on editorial boards including Annals of Statistics, Journal of American Statistical Association, and Journal of Machine Learning Research. Dr. Yu is a Fellow of the American Academy of Arts and Sciences. She was a Guggenheim Fellow and co-recipient of the Best Paper Award of IEEE Signal Processing Society in 2006, and was the Tukey Memorial Lecturer for the Bernoulli Society in 2012. She is President-elect of the Institute of Mathematical Statistics (IMS) and an elected Fellow of IMS, AAAS, IEEE, and the American Statistical Association. She serves on the Scientific Advisory Board of the Institute for Pure and Applied Mathematics (IPAM) and on the Governing Board of Institute for Computational and Experimental Research in Mathematics (ICERM), the National Academy of Sciences, and chairs the Scientific Committee of the Center of Statistical Science at Peking University. She previously served as co-chair of the National Scientific Committee of the Statistical and Applied Mathematical Sciences Institute (SAMSI) and served on the Boards of Mathematical Sciences and Applications of the National Academy of Sciences (BMSA) and Governors of IEEE-IT Society. Dr. Robert O'Neill is currently the Senior Statistical Advisor in the Office of Translational Sciences in the Center for Drug Evaluation and Research (CDER), Food and Drug Administration. 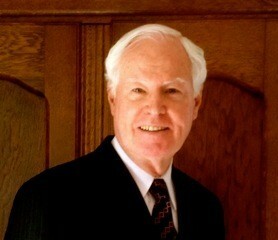 Up until June 2011, Dr. O'Neill was the Director of the Office of Biostatistics which provides biostatistical and scientific computational leadership and support to all programs of CDER. Prior to October 1998 he was Director of the Office of Epidemiology and Biostatistics, responsible also for the post-market safety surveillance of new drugs. In 1989-1990, Dr. O'Neill was a visiting professor at the Department of Research, University Medical School, Basel, Switzerland, where he developed and presented numerous lectures and created a course series Topics in Therapy Evaluation and Review (TITER) for European pharmaceutical scientists, which was the model for the European Course in Pharmaceutical Medicine (ECPM), a degree granting graduate program. He has been an FDA topic leader for two International Conference on Harmonization (ICH) guidances, ICH E5 on acceptance of foreign data, and ICH E9 on statistical principles for clinical trials. He is a fellow of the American Statistical Association (1985) and the Society for Clinical Trials (2013), a member of several professional societies, a past Member of the Board of Directors of the Society for Clinical Trials, the 2002 recipient of the Marvin Zelen Leadership Award in Statistical Science, and the 2004 Lowell Reed Lecture Awardee from the American Public Health Association. Dr. O’Neill has published over 80 papers and presented numerous talks including several presentations in 2002, 2005 and 2008 to the ICSA.